There is nothing that makes a home worth the while of the inhabitants like a good, clean and cool – sky blue swimming pool. This is especially true if the weather of the region is not friendly or the house/pool in question is situated in the tropics. However, ensuring that a house has a swimming pool is quite easy – the difficult part is making certain that the pool is ﻿﻿maintained and remains usable all year round. If, like the present writers, you have a swimming pool and are looking for tips on how to maintain it, you’ve landed on the right page. Let’s show you how to maintain a pool, your own very pool, like a seasoned professional. However, before we proceed to show you the tips, let’s show you how life with your pool appears like if you fail to properly maintain it. 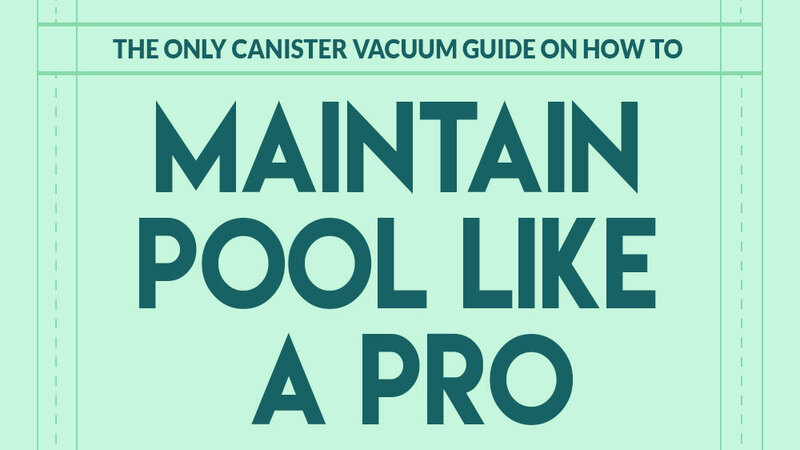 Get a Vacuum Into Your Pool! 2.4 Get a Vacuum Into Your Pool! While everyone with a swimming pool knows what it is to have a clean, clear pool and the comfort and satisfaction this affords, many have not owned a pool long enough to understand the challenges of skimming on pool maintenance. If this is your reality, the outlined points below will likely be your reality, sooner than later. If you don't maintain your pool regularly, it becomes dirty and generally, an eye sore. It looks more like a wild pond than something in a residential apartment. Accordingly thus, it is a constant source of embarrassment, especially when guests are present. A dirty swimming pool is the source of algae – with all its variants. The very sight of these organic elements can make many people throw up – a situation that is as unhygienic as it is an eye sore. A swimming pool that is not maintained gradually changes color from the precious (clear) sky blue color to an annoying dark green color. This color makes the pool look like some wild, uncleared for source of water. No sane pool owner would want to take a swim in such water. A pool that has been neglected and is not maintained will deteriorate to a slimy reality sooner than later. The water will have a slippery feel and after use, the feel is certain to remain on the body of the users of the pool. This is, without doubt, a huge source of bodily discomfort and general unease. An uncleaned swimming pool, in most cases, smells! Who in his/her right senses would appreciate taking a swim in water that actually stinks? Finally, water from a swimming pool that has been neglected is very unhygienic and if ingested, can prove fatal. Unfortunately, it is almost impossible to avoid water entering the body when one is fully immersed in a pool and taking a swim; this is especially true if children or younger persons share the pool. Having taken a good look at what an uncleaned pool could cause/make you, the pool owner to suffer, let’s now proceed to give you the 5 (five) tips for professionally maintaining your own very swimming pool like a seasoned professional.. The tips shared here can be executed in any manner you, the pool owner please. No particular order is advised and you are certainly at liberty to execute them in the manner you best deem fit, taking into special cognizance your pool condition and the reality of where it is cited. ​The first and most annoying challenge you’ll ever face as a pool owner is the challenge of particles, debris - dust, rocks, leaves and other unwanted elements that find themselves in your pool. ​To rid yourself of these nasty particles, you’ll need an automatic pool vacuum that will pick off the leaves/mess as soon as they land. ​Besides the use of a traditional vacuum however, you can also ensure that you do not site a pool near a tree that sheds it leaves in a frequent fashion. Further, it is a smart practice to ensure that you also manually pick out the dirt you spot in your pool as soon as you see it. ​Pool water needs to be treated – unfailingly. It is most important way to keep away your pool germ and algae. However, before you can administer treatment to the water, such tests as pH level, hardness test etc need to be carried out so that you’ll appreciate the exact type of treatment that is due to make your pool water ideal for use. ​Further to this, kindly ensure that addition of chlorine in your pool is carried out, irrespective of the test results or the general pool condition. For water in a swimming pool, chlorine serves as general water ‘cleanser’ that ensures that water in the pool remains ideal for human swimming needs. If you scout online for the average time you’re supposed to change your pool water, you’ll find conflicting information, with some so called ‘professionals’ advising that pool water should not be changed at all or at most, once every 5 years. In some instances, a year is advised and yet still, two years and half in some. The net summary is that, there is no consensus as to how frequently pool water should be changed – and this is irrespective of how the water has been treated or the pool, maintained. However, if you desire to have the best possible water in your pool that meets all hygiene standards, kindly consider changing the water in your pool once every month – if you can afford it. However, whatever the frequency you choose, kindly make certain that you do not keep pool water unchanged for more than 6 (six) months, irrespective of how well maintained the pool is or how infrequently used it actually is. If you’re using a swimming pool and do not yet have a robotic pool﻿ vacuum to tackle your pool cleaning needs, you’re not yet prepared to truly maintain your pool like a professional should or would. ​Depending on the type of pool and the vacuum that you fancy, you’ll be saved a ton of stress from the leaves/debris that lands on the water surface and eventually settle down to cause you serious cleaning challenges later on. ​Further, a dedicated vacuum will also go a long way to remove the debris from the floor of the pool and ensure that you have a nice time in your private sanctuary even when you dive underground and hit the very button of the pool. ​Finally, a vacuum will also ensure that the hard to reach crevices are cleaned in the most professional manner and the walls are also properly taken care of. A dedicated vacuum thus, is not an optional purchase so far as the reality of pool maintenance is concerned. This is the greatest of all the swimming pool maintenance tips: strict monitoring of your swimming pool and its usage. When mention is made of monitoring, it is meant that, the pool should be used only by those who are authorized to use it – as more persons using a pool puts added pressure on the swimming pool, which in turn requires more frequent attention. ​Further, it is important to note that, leaving a pool to indiscriminate use will also expose it to users who are not acquainted with basic pool etiquette such as making certain that one’s body is clean before jumping into the water and avoiding at all means the expulsion of bodily waste in the pool. ​If you thus adhere strictly to the correct use of your swimming pool by ensuring that only those who are authorized and are acquainted with how a pool is used actually get to use yours, you’ll find out overall that the first four (4) tips above would prove unnecessary for the most part. ​And, what is more? The tip of taking precaution is completely free of any cost and will not mean any added expenditure to you, the pool owner. ​The maintenance of a swimming pool is not Rocket Science, neither is it Nuclear Physics. However, what is very important to note is that, the little bits that make up the body of what is collectively known as pool maintenance remain what they are – little bits. The thing to take home is that, if these bits are not handled as they are supposed to, a green, slimy, smelly and out-rightly unusable pool will gradually turn out to be the result. 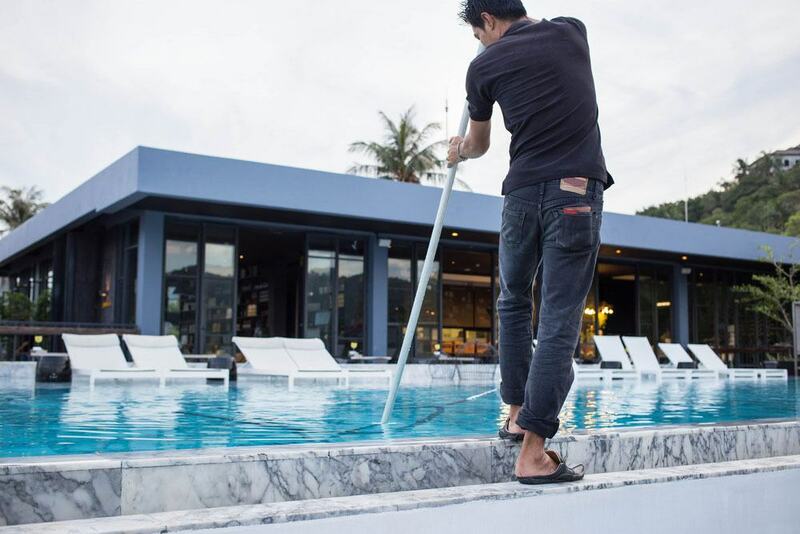 ​Pool maintenance is thus the little bits that you carry out on your pool, often, unconsciously, day in, day out. ​If you’re confused with any of the tips shared here, would love to share some of your tips with us or would simply want to say ‘thank you’, kindly leave us a comment below. We love comments and are very responsive to them…you are thus guaranteed a personal answer from us, no matter how busy we may be. ​Enjoy your pool…like the pro you rightly are!